She continued her fashion revolution 2010. 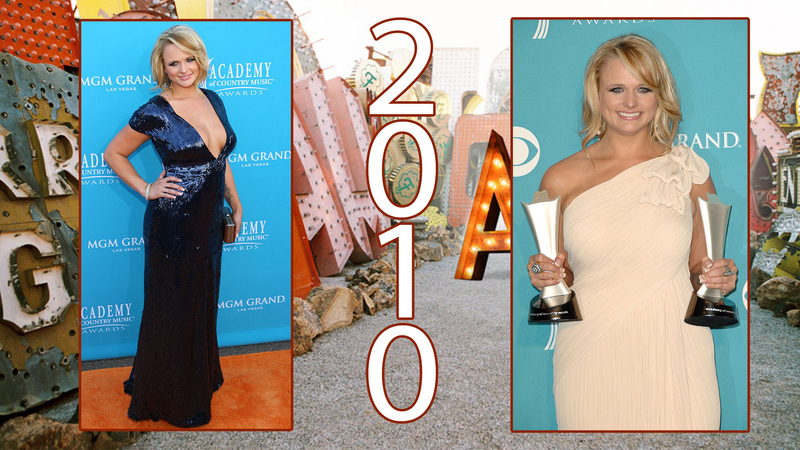 Pre-show: In 2010, all eyes were on Miranda as she shimmered down the ACM red carpet in a blue sequin-adorned Pamella Roland v-neck gown. Post-show: After accepting ACM Awards for Album Of The Year Award and Video Of The Year, Miranda posed with her statues in a one-shoulder, beige column dress by Tadashi Shoji.